Overwhelming research points to the disruptive impact digital technology has had upon our daily lives. Modern tech tools keep us “always connected” as the AT&T slogan once said, and making an effort to disconnect can nowadays feel nearly impossible. For better or worse, our smartphones, tablets, and desktop computers are here to stay. 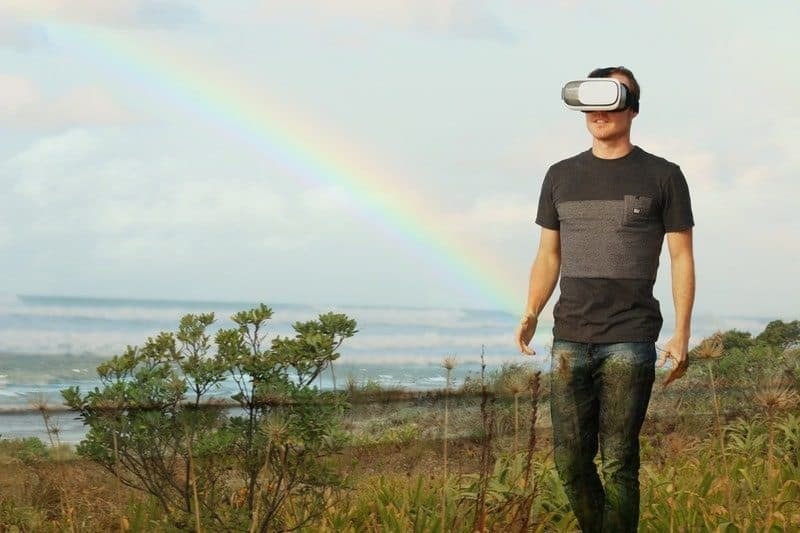 So instead of seeing the downside to digital life and giving into techno-stress, why not try to harness technology to combat the anxiety and stressful qualities of your individual day-to-day? 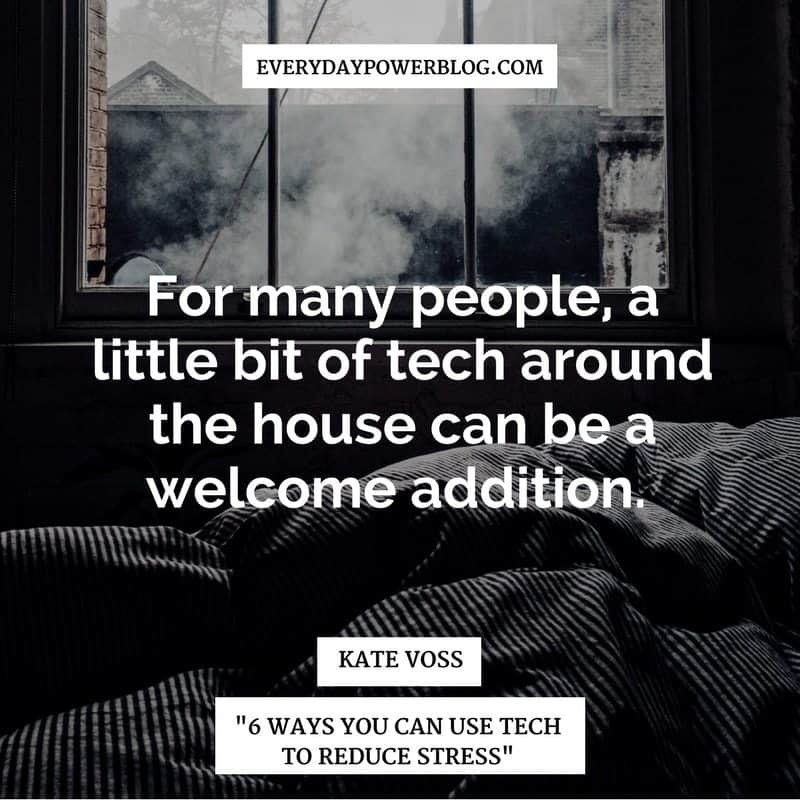 Here are a few quick tips reduce stress with a little help from your tech. Being confronted with the unexpected is a major stress trigger. Staying organized, creating plans and goals, and scheduling important events and dates can greatly decrease this potential hazard. 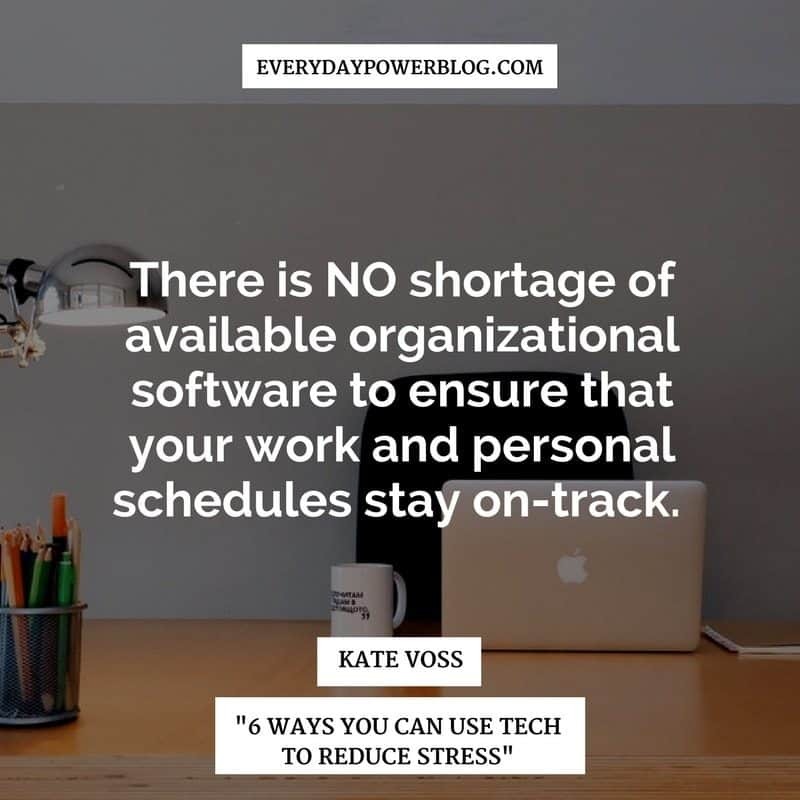 There is NO shortage of available organizational software to ensure that your work and personal schedules stay on-track. Turn to the wide range of available smartphone apps to help you with everything from meditation, to monitoring your pulse and heart rate. These apps apply biofeedback methods to help users maintain calm, practice deep breathing, soothe tensions, and more. Other apps serve to make your life easier, helping you reduce stress. Set reminders, take audio notes, use timers, and do your banking on your phone remotely to help make life simpler. Worrying about the security and upkeep of your home can easily contribute to high stress levels. Improving the comfort and overall efficiency of your personal residence can do A LOT to boost the quality of your daily life. For many people, a little bit of tech around the house can be a welcome addition. This tech saves time and money, and conveniently delivers on your security needs with a minimum of effort. Reduce stress by worrying less. The power of “AI” in digital assistants like Siri, Alexa, and their cohorts, help you go hands-free and still get everything accomplished. Try using hardware like Amazon’s Echo or the Google Home speaker, voice-activated devices to get news and weather forecasts, play music, manage your home automation devices, take memos, play games and trivia, among numerous other helpful features. 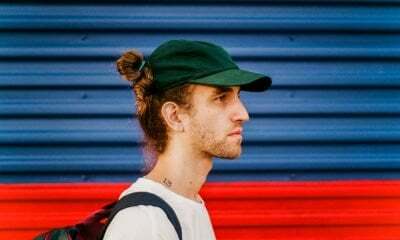 All of this is possible without stopping what you’re doing and logging into your computer. While true artificial intelligence is still some years away, today’s prototypes give a small window into the future of modern convenience. Audio therapy is an excellent way to reduce stress by using soothing sounds and spoken words to help decrease anxiety, combat depression, improve self-confidence, and relieve emotional fatigue. Binaural beat therapy is perhaps the most well-known sound wave therapy method. Different frequencies of tuned sound waves are used to resonate within the brain and enhance its performance in several ways. Many providers of this and other sound therapy options offer audio therapy online, on CD, and via other portable technology avenues. Wearable tech (such as Spire, Fitbit, and Thync Relax Pro) packs a lot into tiny electronics. They can offer guided breathing sessions for soothing mindfulness exercises, heart rate monitoring, sleep pattern tracking, and other physiological feedback. This type of tech reminds you to relax, helps you breathe better, activates nerves on your head to deliver a state of calm, identifies stress triggers, and supports emotional well-being. A few also features the added bonus of encouraging exercise for a healthier lifestyle. It’s fine to unplug to reduce stress from time to time. But, most people can only step away from their glowing rectangles for brief periods before returning to the world of technology. 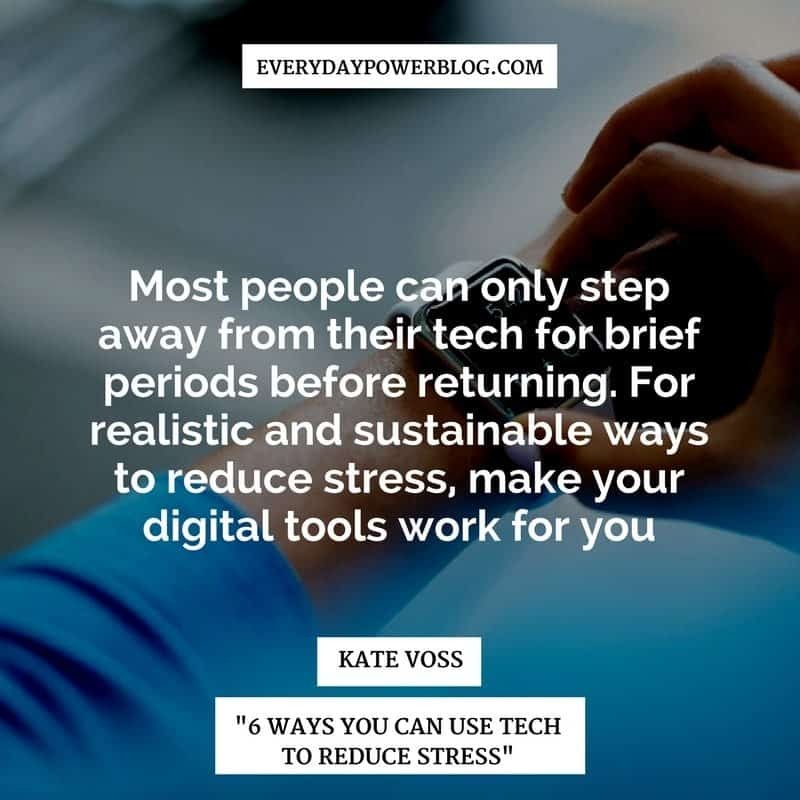 For realistic and sustainable ways to ease your worries, make your digital tools work for you!